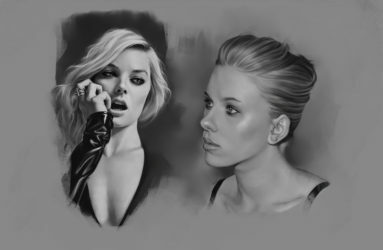 Some black and white value portraits of some of the female actors from recent, big-budget, Marvel and DC Hollywood movies. 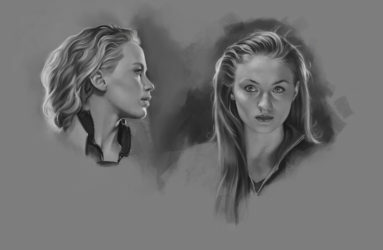 These were mainly painted for fun, a personal project of sorts, but they also serve as a form of study of light and shadow values and painting details. 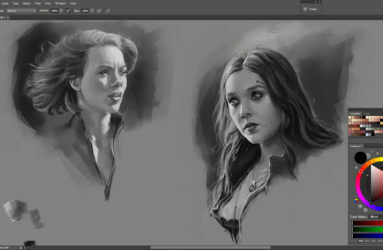 It’s important in a portrait to determine which areas will be painted in detail, and which will be left a bit more sketchy and painterly. The actors depicted here are; Margot Robbie – Harley Quinn of DC Comics’ Suicide Squad. Scarlett Johansson – Black Widow of Marvel Avengers & Captain America. Jennifer Lawrence – Mystique of Marvel X-Men. Sophie Turner – Jean Grey of Marvel X-Men. 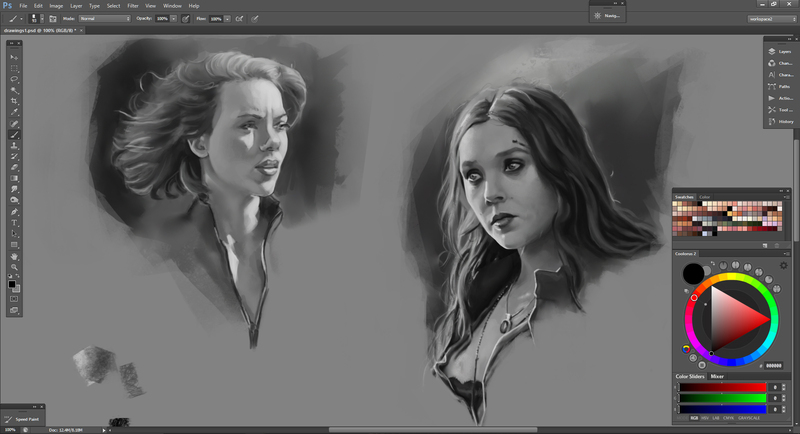 and Elizabeth Olsen the Scarlet Witch of Marvel Avengers. Like the other black and white portrait collections in my folio, I may be looking to compile these all in a booklet or sketchbook at some point in future. Craig Paton is a an artist and illustrator based in Glasgow, Scotland, with over five years experience in branding & commercial illustration, concept & game art, book cover art and private portrait commissions. Get in touch to discuss your project and get a free quote. First poop in the new flat! All going well so far.